Tuesdays can be rather “meh.” Not quite hump day, and still so far from the weekend. 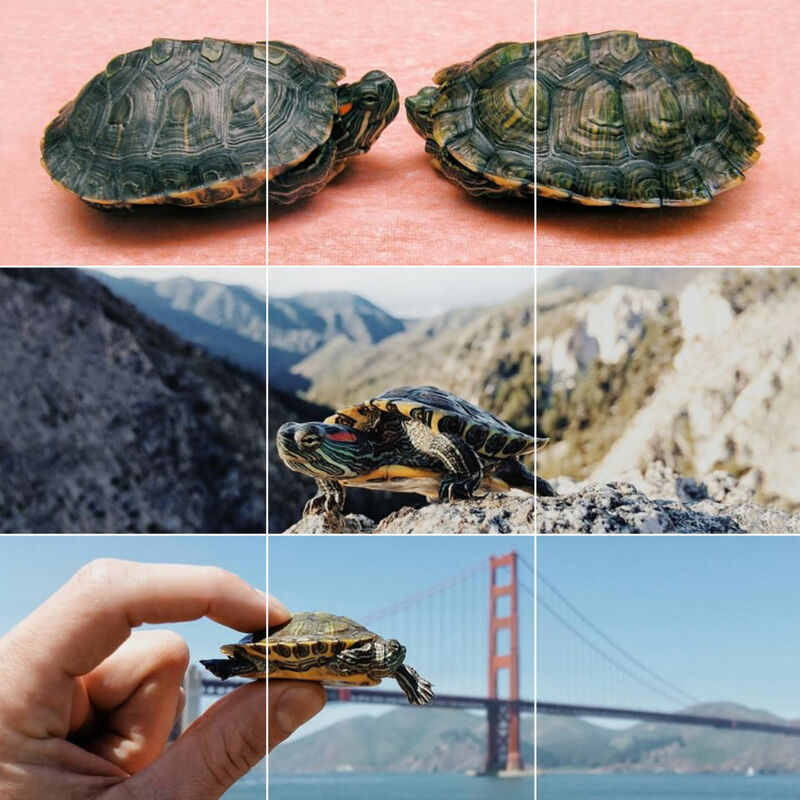 Luckily we came across @turtletuesday on Instagram and the start of our week suddenly got a whole lot brighter. 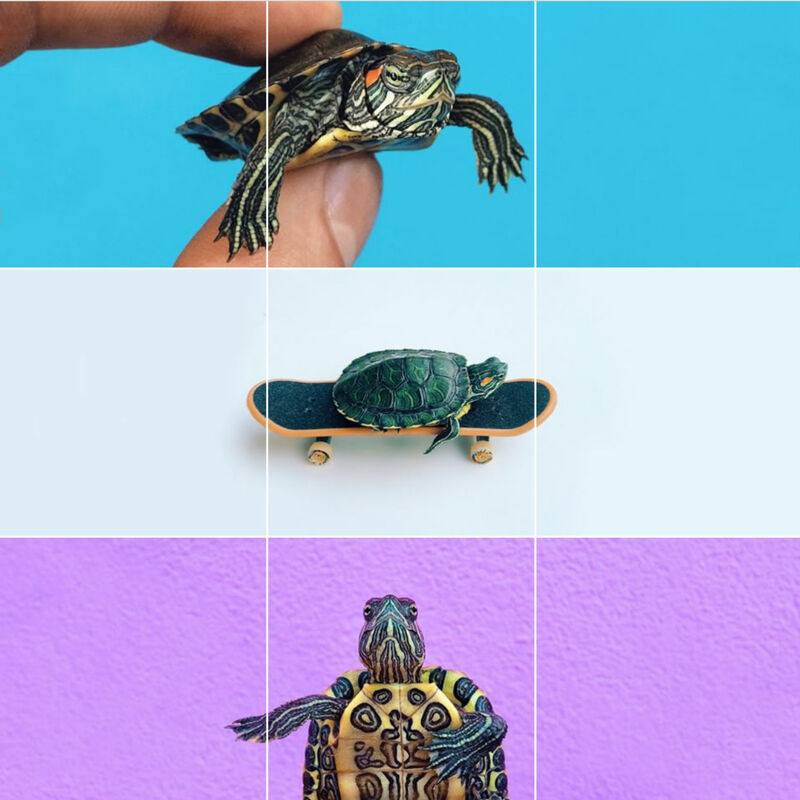 Graphic designer and photographer Kyle Huber creates these tiny turtle portraits every week under the hashtag #turtletuesday. Each installation is uploaded in a ‘panoseries’ format – three individual images that form a complete picture when viewed together. 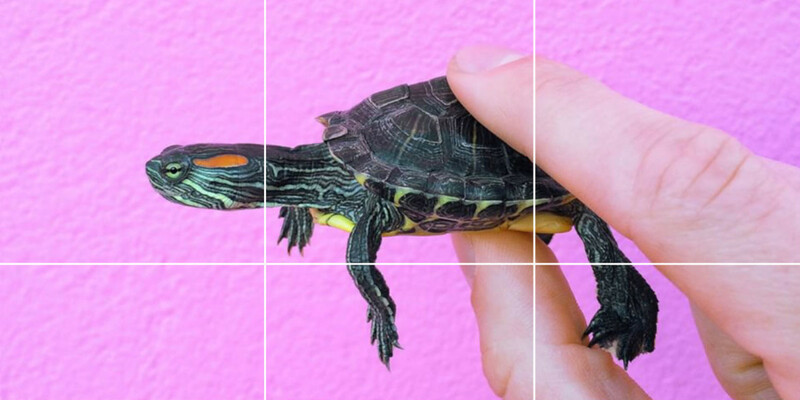 “I got my first baby turtle when I was 12 years old and have been obsessed with them ever since,” Huber told the Instagram blog. 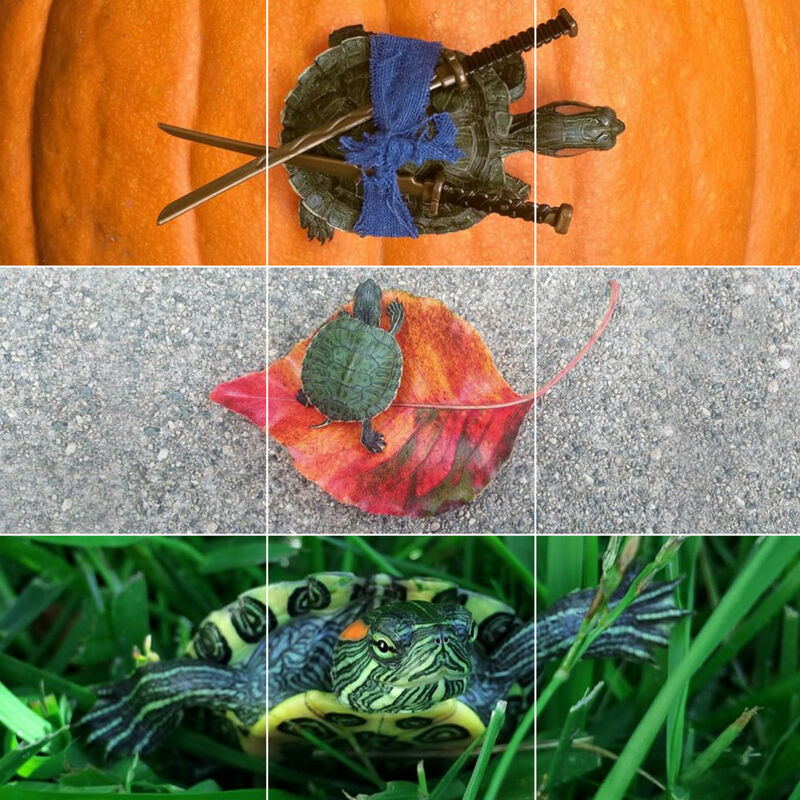 Huber’s seven red-eared sliders –Shelly, Myrtle, Franklin, Leonardo, Raphael, Donatello and Michelangelo – are now the most famous turtles on Instagram, with more than 7,300 followers on the @turtletuesday account. 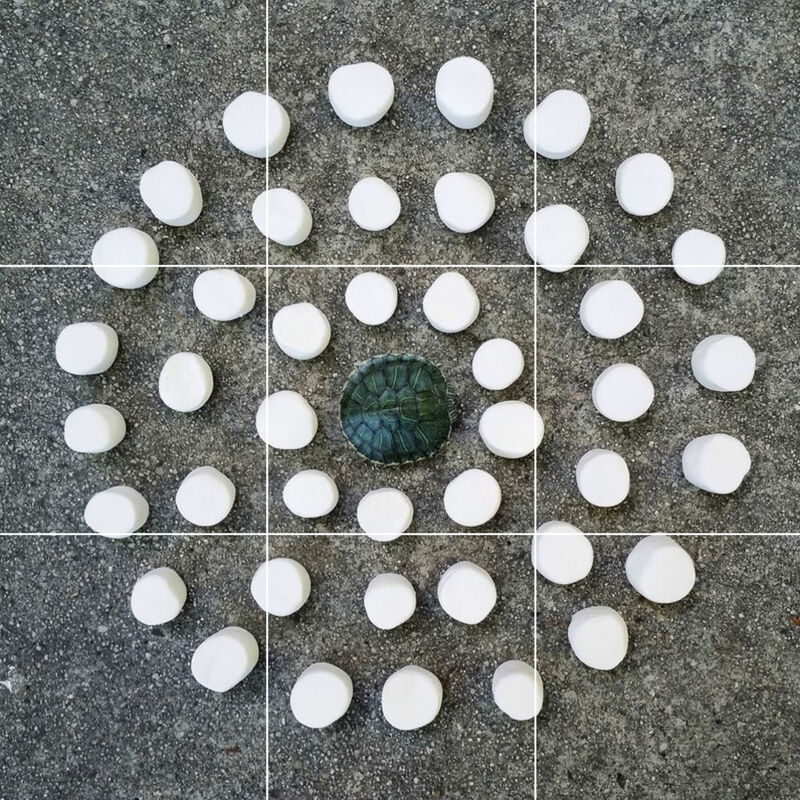 Huber, who hails from Los Angeles, has been running his #turtletuesday series for the last three years. And if you like his #Instaturtle photos as much as we do, they’re also available to buy as a book.